Increased partnership among IT and the business in enterprise data management and business intelligence can only make things better. Here's a great example. As we all know, business agility very much depends on data agility. And, data agility often requires data integration to be truly robust. It’s useful to do data discovery and analytics on a single source of data, but even more useful to follow up with analytics capabilities that leverage several sources that have some level of integration. According to Informatica, data integration projects are executed 5x faster in companies where the business and IT collaborate. 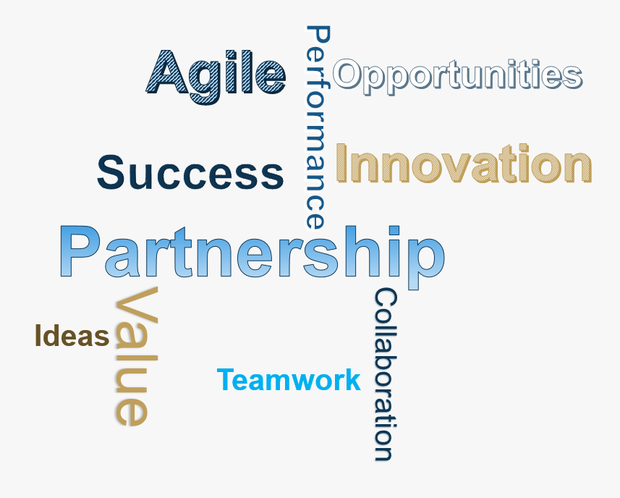 If you add creative approaches into that mix, business agility can skyrocket! In many companies, business areas are leveraging data in many ways without IT involvement, using a myriad of available tools. With so much data available, this approach makes sense for data discovery and insights. However, I’ve seen deepening concerns around data quality, data governance and master data as this trend continues. Without these, business insights can be useful, but it may be risky to make decisions based on them. The consequences of less-than-optimal data quality can be far-reaching and severe. A single mistake can cascade throughout an organization. Questionable data can hinder performance and damage valuable customer relationships. It can derail vital initiatives and put your entire organization at risk. According to a Pitney-Bowes white paper on The ROI of Data Quality, 81 percent of companies have difficulty generating meaningful Business Intelligence. Data inaccuracies are largely to blame. 77 percent of companies believe they lose revenue (12 percent, on average) because of inaccurate and incomplete contact data. However, additional value (and confidence) can be gained by working with IT to integrate these ensuing business results into an enterprise data solution that can then incorporate data governance, data quality, and even master data as needed. Here’s a use case example: data analysts at a prior company I worked with would query, explore and model various sources of data. Frequently, they would develop some extremely useful results, especially leveraging predictive analytics models. These results were interesting, and led to quite a bit of excitement from the business from an opportunity perspective. But where they really became useful was when they were integrated with additional standard data sources, already available in the enterprise data warehouse. We developed an architecture that allowed these business results (underwriting curves, customer scores, etc.) into the enterprise data warehouse, modeled in such a way that other relevant data could then be integrated along with these business results. The resulting integrated data was many times more useful in ensuing analytics, decision making, and operational integration. By taking this approach, the business data also became eligible for data governance oversight and data quality practices. This is another real use case of ways that an organization can encourage a business / IT partnership. These partnerships will inevitably improve the balance between structure and flexibility that organizations struggle with today in the world of data and analytics. For related articles in this series,click here.